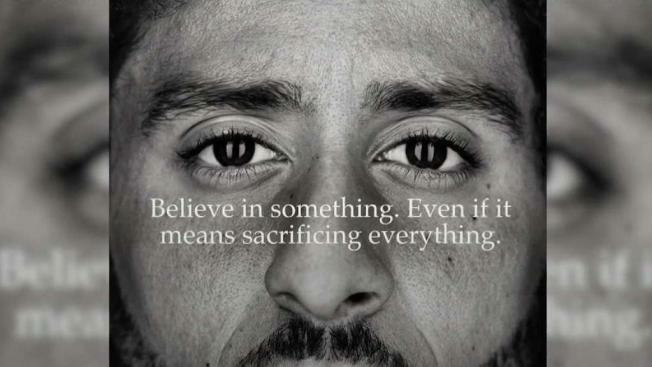 Nike's latest ad campaign featuring former NFL star Colin Kaepernick has ignited controversy. As the "Just Do It" ad launched, many took to social media both for and against the campaign featuring the man who started taking a knee during the National Anthem to protest police brutality and racial injustice. Former NFL quarterback Colin Kaepernick and comedian Dave Chappelle are among eight people being honored by Harvard University for their contributions to black history and culture. All eight recipients of the W.E.B. Du Bois Medal will be honored Oct. 11 by the Hutchins Center for African & African American Research at Harvard. The other honorees announced Thursday are Kenneth Chenault; Shirley Ann Jackson; Pamela Joyner; Florence Ladd; Bryan Stevenson; and Kehinde Wiley.